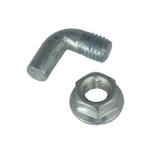 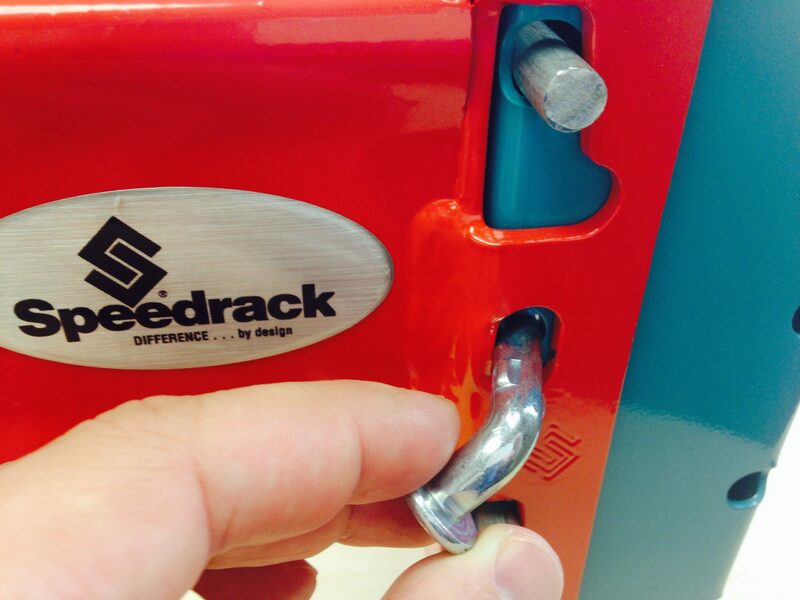 Speedrack Pallet Rack Clip J Bolt is an essential component when installing Speedrack Old Style pallet rack systems. 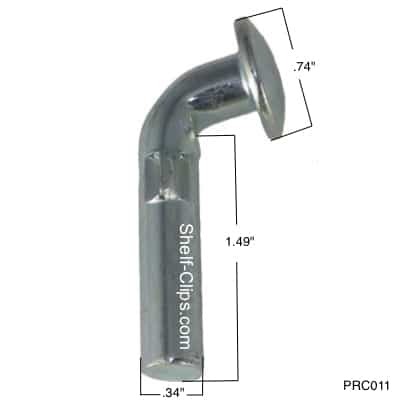 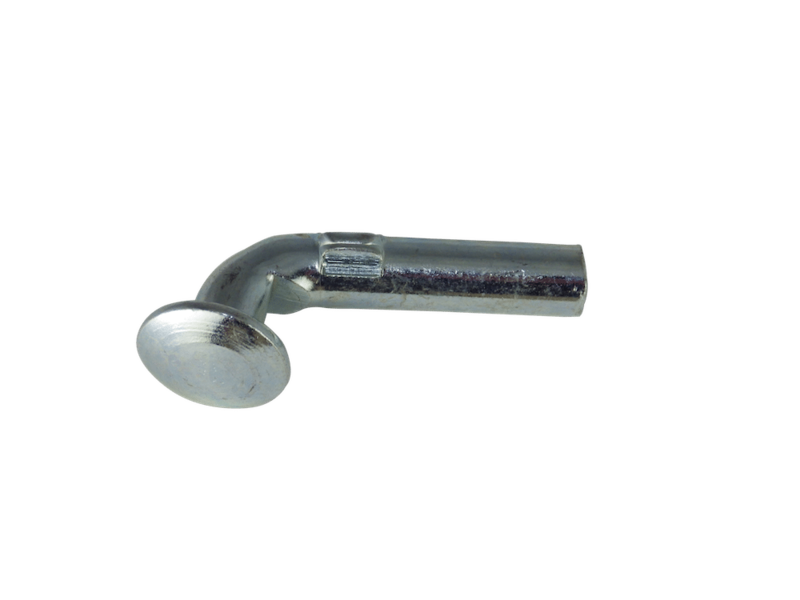 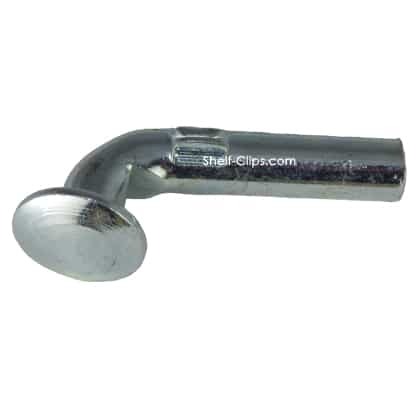 This clip works in tandem with the Speedrack Horseshoe Pallet Rack Clip (PRC009 or PRC010). 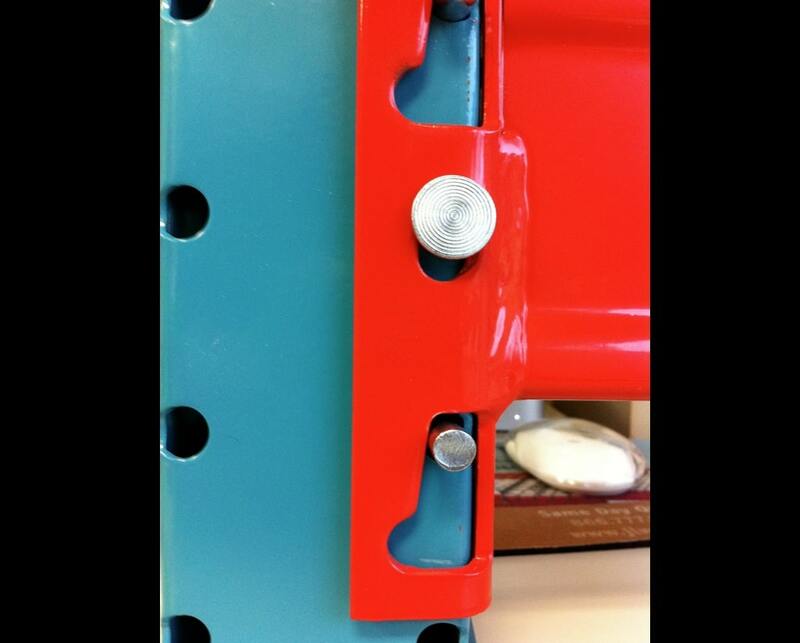 These two clips come together to complete a secure frame-to-beam connection. 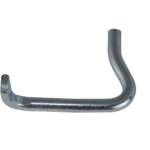 The J Bolt works by dropping in the small aligning holes in the frame and beam connection. 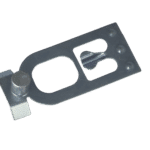 These locking pins prevent accidental load beam disengagement from the frame columns. 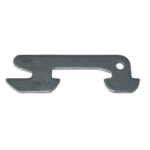 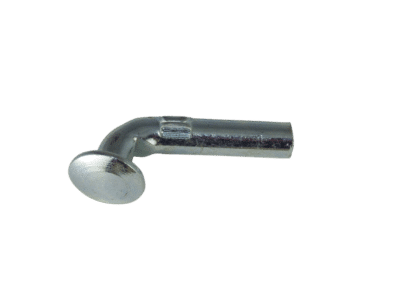 The drop pins were engineered with wings in an effort to increase safety by making the drop pin harder to get jostled out of place. The Speedrack Pallet Rack Clip J Bolt is installed after the horseshoe clip has securely connected the cross beam to the upright frame.